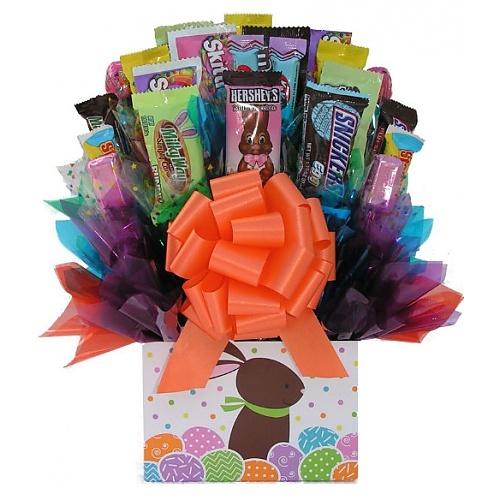 Our Easter Bunny Candy Bouquet is perfect for anyone on your Easter gift list. Our Easter Bunny Candy Bouquet is perfect for anyone on your Easter gift list. This Easter Bunny Bouquet is filled with 21 assorted chocolates and candies. This Bouquet is finished off with a full bow and wrapped in a cellophane bag. The box is adorned with a Easter Bunny print.